We have lived, worked and travelled extensively in Europe, North and South America, Africa, the Subcontinent and parts of Asia. Nomads Secrets began and continues to grow from our own professional and personal exploration of the distinctive qualities of the places, customs and cultures we visit. Custom travel and experiencing the world in depth and in style are in our DNA. We are dedicated to realising the expectations of our clients, helping them to enjoy the experiences they seek. We constantly refresh our knowledge and unearth new secrets so that every journey is ‘a trip of a lifetime’. Lucia’s love affair with travel has taken her to many places for work, study and pleasure, allowed her to meet inspiring people and experience great moments and places. 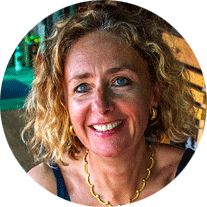 Multilingual, with decades of travel and a senior executive career under her belt, Lucia started Nomads Secrets to help others experience the magic that travel can deliver when you are in the hands of someone who can create something “out of the ordinary” just for you. Tony also has had an extensive career in the corporate world, heading major companies and serving on the boards of many others. He is a well-respected strategist and marketer. 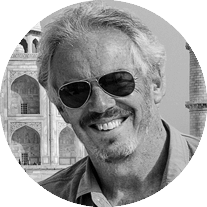 Nowadays Tony is also known as a photojournalist with his work seen in the New York Times and other media publications, as well in his books. 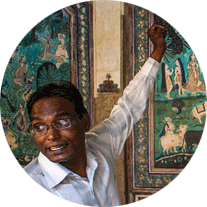 His photography and journalism are at the heart of our e-Magazine Fellow Traveller. Like a gourmet dish, crafting a successful journey is the result of combining many complementary ingredients. As each journey is different and completely customised to the individual clients’ tastes and expectations, so is the mix of people that make it happen. Nomads Secrets taps into a wellspring of expertise, local knowledge and experience. The end result is strong logistical execution, curated cultural awareness, exceptional customer service and attention to detail.